See scan - perfect condition. This is a nice and rare most likely first post WWII Romanian / Rumanian Aviation and Air Force pilot badge. 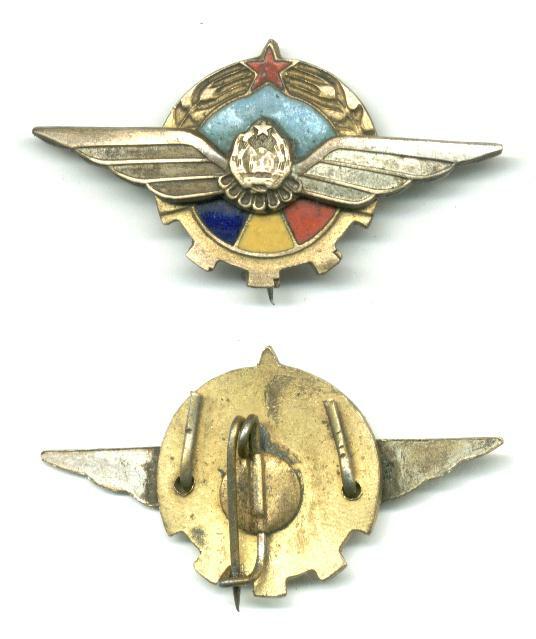 The badge has nice stylized wings at front with Crest in middle on top of enameled center with national flag colors and wreath surrounding. Badge is relatively small in size and measures 40mm x 22mm. Nice aviation collector piece and one of the nice Romanian badges.